How much fresh is the air we breathe in? In everyday life, we do not think a lot about how much time we spend in closed spaces – houses, offices, office buildings, hospitals, etc. All this time we share limited volume of air of doubtful purity and freshness with our people in the same rooms. Unwellness, weariness, headache and other unpleasant symptoms are the first sings of negative impact of polluted stale air on human health. Still, we rarely associate these conditions with poor air quality. For human organism, the surrounding air quality has vital importance because metabolism is possible only due to oxidation, i.e. connection of chemical substances with oxygen contained in blood. In case of no oxygen supply, the oxidation process interrupts, and life of the organism stops. Therefore it is vital for us to take ongoing care of purity and freshness of the air we breathe. Therefore it is vital for us to take ongoing care of purity and freshness of the air we breathe. No need to say, breathing such air in, we rather bring harm to our health than consume vitally important oxygen. Any residential premise is always filled with air containing micro particles and various polluting components thus creating a certain air pollution degree inside. Well arranged ventilation and permanent air exchange keep indoor concentration of harmful substances within permissible limits that is not dangerous for human health. But the situation changes drastically when some inhabitants driven by their desire to insulate their houses as much as possible thoughtlessly isolate all possible sources of natural air exchange by glazing balconies, insulating facades, sealing the window frames, doorways, blocking all the cracks and ventilation ducts. As a result, the modern houses made of brick and concrete, equipped with double-glazed windows, metal doors, additional outer insulation, etc., are practically hermetic structures. Striving to minimize heat losses and energy costs has resulted in almost perfect insulation of buildings and blocked any possibility of natural air motion and air exchange. Under such circumstances, the natural ventilation does not provide sufficient air supply, consequently, a tightly closed house just „does not breathe“. The rooms or premises that are thermally well insulated and sealed in plastic windows cannot avoid excessive moisture which provokes various bad smells, including foul smell, feeling of stale air, various pollutants, even mould. Microclimate in this house becomes harmful for its inhabitants and for the house structure, too. There are at least two sources of air pollution in any building. The first one includes the construction materials used for the building that produce more than 50% of overall pollution. People and their life activity form the second source of pollution. Various suspended solid particles and microorganisms which are brought into a house by people, animals or penetrate through improperly maintained vents and ducts are always found in indoor air. In poorly ventilated areas, these microorganisms can cause unpleasant smell, sense of discomfort, lung ailments displayed by sneezing attacks and even give rise to a variety of bacterial infections. Emissions of various chemical substances used in cosmetics and detergents as well as dust, vapours, tobacco smoke, formaldehyde that is vapored into atmosphere from synthetic carpets, polyurethane foam insulation, finishing materials, furniture, harmful chemicals emitted from household electric devices, concentrated carbon dioxide and radon are only few pollutants. As a result, we feel stuffy air in a house with closed windows, air becomes stale, temperature and humidity increase, and finally that causes feeling of weakness, weariness, poor sleep and other symptoms. Partially the polluted air problem can be solved be creating natural ventilation through window opening. But even that solution has some drawbacks. Ventilation through open windows brings to uncontrolled excessive air flow and creates unsafe draughts. By opening windows you fill the room not with clean air but with a mixture of pollens, poplar stuff, dust and exhaust fumes. Moreover, thermal losses rise together with high energy costs. Furthermore, noise level from outside may be a catastrophe. That refers in particular to inhabitants of houses located near main city highways and entertainment places, intersection of basic routes and transfer transport points. Thus, we hardly make such ventilation useful but we let extra irritants and pollutants enter our rooms. Even worse, we do not solve the problem of polluted stale air removal. In order to eliminate the problems associated with health risks, the wet, polluted air must be regularly removed outside and replaced with fresh air. Fresh air must always be supplied into all rooms of the house or apartment to ensure full and effective ventilation. Therefore, arrangement of the effective forced supply and exhaust ventilation in the rooms or premises is the only correct and rational solution of this problem. How can I arrange effective ventilation in my house? Install one of modern single room air handling units with heat recovery MICRA! 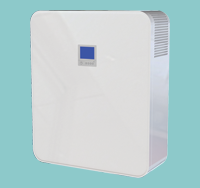 The single room air handling unit with heat recovery MICRA is the best cost–saving solution for creating of energy saving ventilation of separate rooms in apartments, cottages, social and commercial premises. The single room air handling units with heat recovery MICRA are the fully-featured ready to use ventilation solutions that provide supply of fresh air to the premise, air filtration and extract of polluted air outside and supply air warming up if required (Micra 150 E). MICRA units create an effective and fully-fledged ventilation in your house! The great advantage of the MICRA single-room air handling units is their ability to recover heat to the premises (up to 92%) due to a specially designed aluminium recuperator. Heat recovery is based on use of extract air heat energy for heating of intake fresh air from outside. In view of permanent heat losses in the room use of heat recovery is the most useful technology for cost and energy saving. MICRA units will supply fresh air with minimum energy demand and surprise you with their silent operation. ordinary scheduled repair in ready-made premises. The single room air handling units with heat recovery MICRA have compact sizes and are designed for mounting on outer wall from inside. Two Ø 125 mm through-the-wall openings in the wall is everything you need for mounting. After mounting they are covered with a decorative casing of the unit. Install a double outer hood on outer side of the wall to prevent direct water ingress and foreign objects inside the unit.